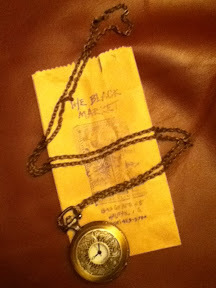 Strange Girl: Finds! Tassel belts and crotchet-detail boots. 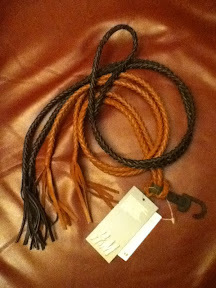 Anyhow, this is very, VERY exciting: braided tassel belts in black or brown...for only 6.95$ each at H&M! They're listed as "one size", which will work if you want to simply tie it around your waist once, but if you're over size medium, you probably won't be able to double it. Lastly, I bought these boots from Aldo probably a week ago? 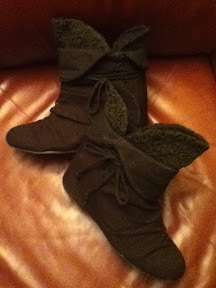 They have a concealed heel and great crotchet detailing around the top. I also love the bow! I bought the black, but they also come in a cream that would be beautiful with Cult Party. That's it for today, I've been making jewelry still but I've been hesitating to post them because of my lack of computer/tiny pictures with this blog app. I might anyhow though, I'm dying to share them! Tattoo pictures in the next few days as well :) Still as active as ever on Tumblr though! Love Aldo... their stuff is usually so comfortable, too, which is rare/nice!